Reviewer: K.V. Sridhar, national creative director, Leo Burnett India Pvt. 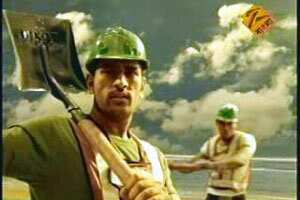 Ltd.
Spot: The ad for Lafarge Concreto cement depicts Indian cricket captain M.S. Dhoni as an aspiring engineer building a house for his mother. He, along with a team of engineers, builds a house while playing cricket with a shovel for a bat and a ball made from cement! (Don’t ask me why). 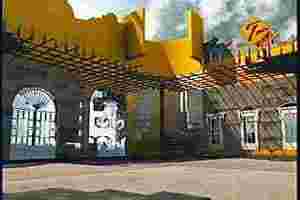 He finally makes a palace for his mother, which looks a lot like Princess Jasmine’s?palace from Aladdin. Why I don’t like it: Question: I’m an international brand setting foot in India for the first time. What do I do? This seems to be the laziest mantra adopted by many brands for launching in India. This commercial, like many others, has not done justice to one of the greatest success stories of India: Dhoni. To show him as an aspiring civil engineer/mason playing cricket with a shovel and a cement ball is sacrilege. I find the ad trying too hard to be Indian with the cricket, engineer Dhoni and the palace references. And then, the core emotion that got buried under a pile of cement: a son’s dream to make a home for his mother. A very emotional thought that will ring true with many got lost under the canopy of tacky execution and yawning monologue. All in all there seems (to be) too much crammed into a 40-second mixed sandwich. Try too hard to make a house—you’ll most certainly miss the home. It would be a much more sincere attempt to showcase the rise and rise of India and Dhoni. Do otherwise, and you end up with an empty shovel and a broken cement ball.